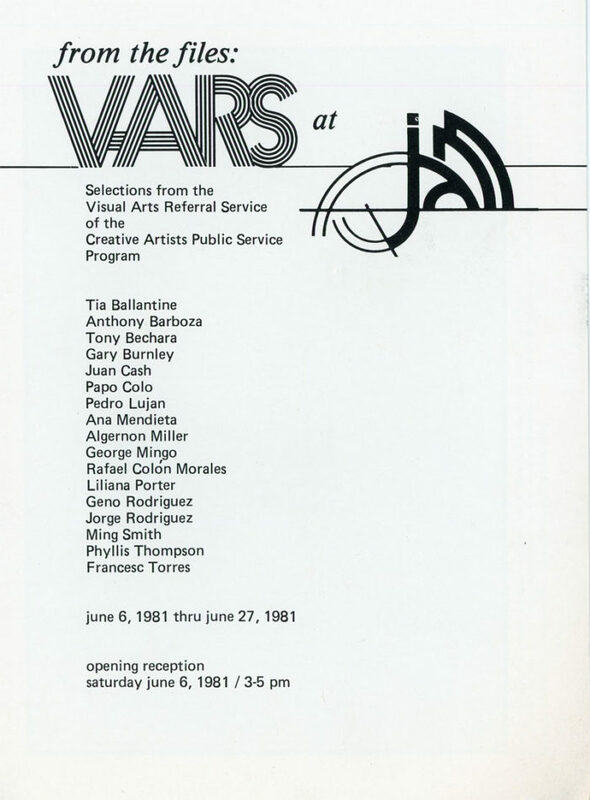 Folded card for VARS at JAM, a group exhibition from the Visual Arts Referral Service at Just Above Midtown, 1981. Artists included Anthony Barboza, Papo Colo, Ana Mendieta and others. 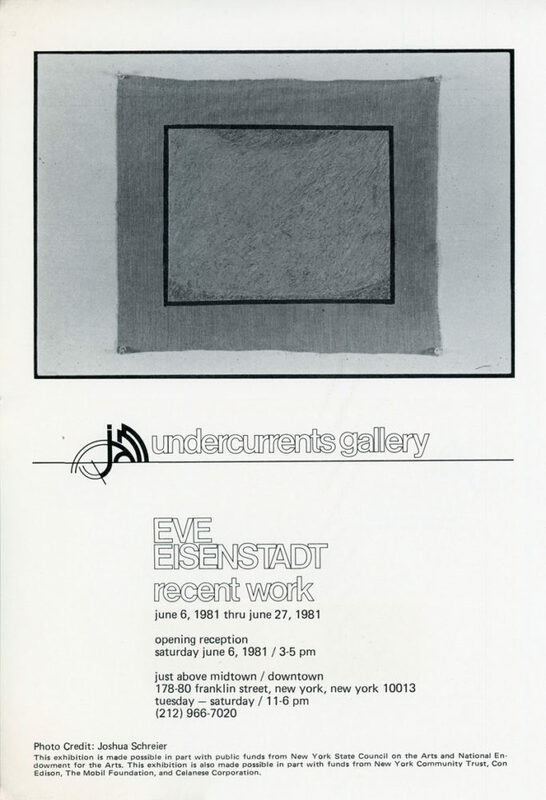 Inside of folded card advertises Eve Eisenstadt’s exhibition of Recent Work at JAM’s Undercurrents Gallery.